Everyone plays poker in order to win money. Whether you’re a recreational poker player who views the game as a mere pastime or consider yourself more of a grinder who takes the game seriously, poker’s bottom line is how much you’ve won or lost at the table. Thus, everyone’s always looking for any sort of edge they can get to help increase their chances of winning. 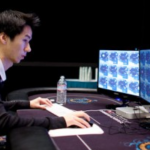 It’s no surprise then that players happily try to learn whatever poker strategies they can. 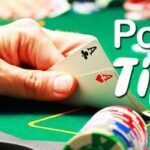 Beyond that, however, many poker aficionados are now choosing to take advantage of the numerous gaming tools and apps that can further assist them in their play. With that in mind, we decided to take a look at five of the most helpful and popular poker tools and poker apps that players are using these days. As the name denotes, Poker Tracker allows a player to monitor all of their poker sessions. This software is especially relevant for those who play Texas Hold ‘Em poker online. Poker Tracker crunches all the numbers for you and summarizes all of your historical data. It makes it easy to see your win/loss ratio and analyze all your poker play in retrospect. Poker Tracker is extremely popular among well-known poker pros, who from time to time even Tweet screenshots to their followers of how they’ve been playing recently. Since online poker software automatically collects all data during hands played, Poker Tracker is able to provide you with an incredible amount of various helpful statistics which, upon analysis and after making the right adjustments to your strategy, is practically guaranteed to make you a better player. In the interest of full disclosure, Poker Notes Live is an app that we’ve helped to create here at Cardplayer Lifestyle. One of the newest mobile poker apps on the market, and available in 9 languages, it’s available for use on both Smartphones and tablets to assist you while you play live poker. 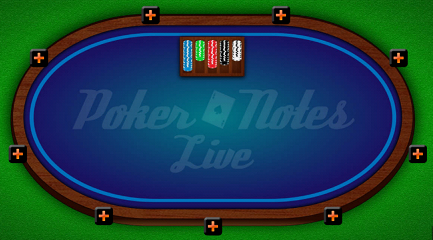 Whether you’re playing in live tournaments or cash games, or even your local home game, Poker Notes Live is a great poker tool that can help you take notes on your opponents, their tells, their betting patterns, and much more. You can tally your wins and losses and track them over multiple sessions – even accounting for tips that you give the dealers. The app is available for free both the Google Play store and Apple’s App Store. There’s also a premium version. Of course we can’t be fully objective with an app that we’re trying to promote, but the fact is we’ve received lots and lots of positive reviews from important people and websites in poker world. While this is a more opponent-based platform, the information provided can be invaluable in the development of successful strategies against a wide variety of players. 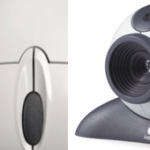 There’s a free trial version available for those who may wish to learn a bit more before deciding to purchase the software. Coach Rounder is unique among poker tools out there in that it will offer you mathematics-based advice based off of your statistics. This automated platform displays feedback regarding one’s strengths and weaknesses, thus allowing you to modify your online poker game accordingly. Assuming you’ve entered enough hands into the database, the graphs and the analysis that the software spits out will really act to give you an excellent status report on your online poker game. As any experienced online poker player will tell you, the proactive ability to modify one’s own strategy can make all the difference in the world between winning and losing. You know how when you watch poker broadcasts on television they’ve got the odds of each hand winning displayed? Well, I don’t know what calculator they use but it’s an inarguable fact that knowing the odds helps you perform better while playing. Poker Stove is THE preeminent name in poker odds calculations. Whether you’re crunching numbers related to your own online or live play, trying to memorize Texas Hold ‘Em hand winning percentages, this is the poker tool you want to use. Specifically great about it is the ability to measure your hand’s rate of success against a range of opponents’ likely hands. 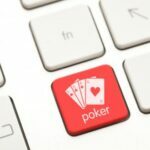 So that’s a brief overview of some of the most popular and helpful poker tools and poker apps out on the market today. Surely there much more great poker software out there though, as any experienced player could attest. As poker continues to gain in popularity around the world and greater numbers of players discover the fun and excitement of the game, it’s only reasonable to expect that more and more poker tools and poker apps will come out on the market.